You are probably waiting for a freeze damage report since we were in the freeze zone for the past two nights. No problem at all Monday. Tuesday was colder and I awoke to find George and Grover’s lawn/field totally white and the lake totally invisible with steam/fog rising from the surface up at least 10′ above the surface. The windshield on the Toyota was frosty. I knew it could be ugly. So, what got nailed! I had covered a few items that I really care about and left the rest to Darwin it through. Elephant ears – the ones by the house and up towards the shed, creamed. They were getting a little too thick anyway and will come back in the spring. I was mostly curious about the ones down by the lake, under the tree cover. Not quite as bad. Nailed a few upper leaves but a few bigger leaves still survived. Poinsettias – nailed big time. Look green down by the base so probably ok after a major trimming which was scheduled for next month anyway. Impatiens down by the lake – the top few inches nailed but most showed good green close to the ground. I’ll wait a few weeks and then cut them back. They were overdue anyway and I only left them long in anticipation of a freeze. Maybe that strategy worked – time will tell. So for sure the area down by the lake, under the tree cover faired better, so there must be a few degrees difference between that area and the house. The item I was most concerned about was the grapefruit tree I had transplanted a year ago which was still struggling to produce a few leaves. About 2 weeks ago it broke out with a load of new leaves and blossom buds. So that meant the tree was in it’s most vulnerable state. I figured if it could get one good year to fill out, it would be set. I covered it and held my breath when I removed the cover. Not too bad. I’m guessing it lost maybe 25-30% of the new leaves; too soon to tell on the blossoms. It’ll be obvious in the next few weeks exactly how it fared but I know for sure the tree survived. It sure has had a tough life so if it makes it, the fruit will probably be the best. That may also be true for the banana tree. I think it survived but the foliage got burned badly. What I don’t know is what that means for a summer crop. I think the tree makes it but maybe no bananas this summer. Let’s hope we’ve seen the worst of it. We can still for sure get frosts on into March but the odds improve daily now. DIRECTED BY : Hannah Marks, Joey Power. WRITTEN BY : Hannah Marks, Joey Power. PRODUCTION BY : Yale Productions, WYSJ Media, The Exchange. ‘After Everything’ is a movie genre Drama, was released in October 12, 2018. Hannah Marks was directed this movie and starring by Jeremy Allen White. This movie tell story about When Elliot, a brash 23-year-old living carefree in New York City, meets the sensible Mia and receives a damning diagnosis all in the same week, his world is turned completely upside down. But as their love blossoms amidst the chaos of his treatment, they discover that Elliot’s illness is not the real test of their relationship – it’s everything else. 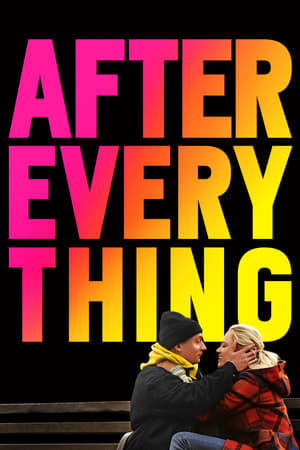 Watch After Everything 2018 Online Free Viooz, Watch After Everything 2018 Online Free, live streaming film After Everything, trailer film After Everything, Watch After Everything 2018 For Free online, movie After Everything 2018 trailer, Watch After Everything 2018 Online Free megashare, movie After Everything 2018, watch full film After Everything 2018, Watch After Everything 2018 Online Free netflix, watch movie After Everything now, download film After Everything 2018 now, Watch After Everything 2018 Online Free hulu, movie After Everything download, watch full movie After Everything online, Watch After Everything 2018 Online Putlocker, Watch After Everything 2018 Online Free Putlocker, Streaming After Everything 2018 For Free Online, film After Everything 2018 trailer, Streaming After Everything 2018 Online Free Megashare, download movie After Everything 2018, Watch After Everything 2018 Online Megashare, Watch After Everything 2018 Online 123movies, trailer movie After Everything 2018, streaming After Everything film, Watch After Everything 2018 Online Viooz, After Everything movie trailer, Watch After Everything 2018 Online Free 123movie, After Everything 2018 Watch Online, download After Everything 2018 movie now, watch full After Everything 2018 movie online, Watch After Everything 2018 Online 123movie.